Dominoes games are very popular around the world, and double nine color dots dominoes are especially adaptable to games of four or more players and are very important tools to play Matador, Tiddle-A-Wink and so on. 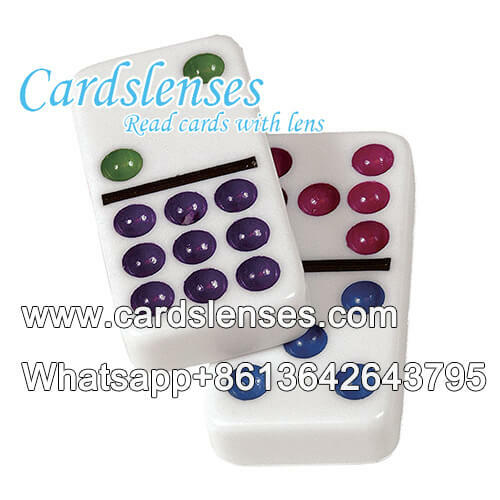 Using special infrared invisible ink recipe, GS technical staff can mark invisible marking on the white backs of these professional double 9 color-coded dots dominoes skillfully. No one can read them with their naked eyes and only work with luminous IR contact lenses or ultimate infrared sunglasses can you see them clearly and secretly. -White tile and color spots.